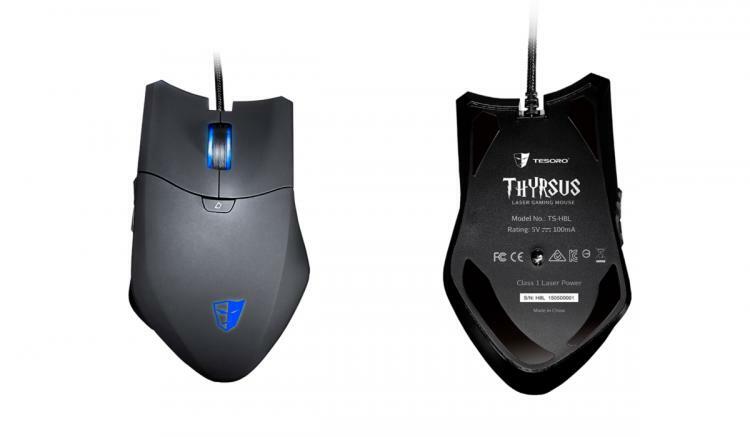 June 25, 2015, Milpitas CA, USA – Tesoro Technology USA Inc., a manufacturer of high-tech gaming peripherals, announces the Thyrsus optical gaming mouse. 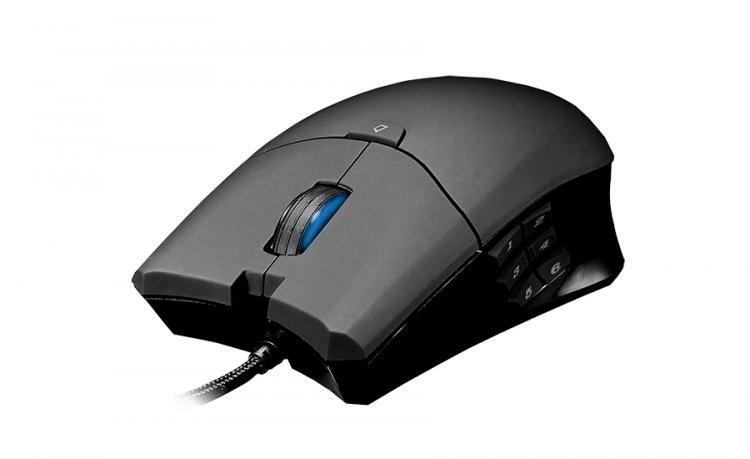 Named after the staff of Dionysus, the Thyrsus features comfortable, ergonomic design, a high-precision optical sensor, and 6 fully programmable thumb buttons for MMO and MOBA games. Instead of the ordinary 1 or 2 thumb buttons, the Tesoro Thyrsus has 6 buttons positioned for thumb control, making a total of 10 fully independent and programmable buttons. The 64Kb of onboard memory allows users to configure up to 5 gaming profiles, 35 macro keys and 1600 recordable actions. The Tesoro Thyrsus is easy to control in the new, specifically designed software. Gamers can adjust the DPI, polling rate up to 1000Hz, and the multicolor LED illumination as well as program the 6 thumb buttons. Omron switch technology gives the Thyrsus added durability, tactile feedback and satisfying clicks. The ergonomic design and rubberized coating on both sides give maximum comfort and grip. 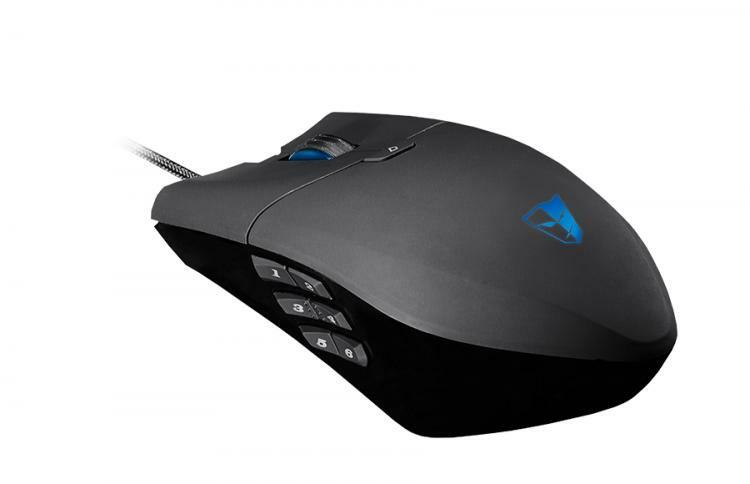 Gamers can pick from 6 levels of sensitivity adjustable up to 8200dpi. Accuracy is assured with 150 ips (inches per second) motion detection and 30g acceleration. A braided, 2 meter gold-plated USB cable lends added durability and prevents fraying. The Thyrsus utilizes Tesoro's new UI which has been redesigned to be more user-friendly. Gamers can easily adjust the DPI, record macros, set profiles, and change the illumination color. The Tesoro Thyrsus will be available this August in the UK and Europe for the suggested retail price of £49 / €69.